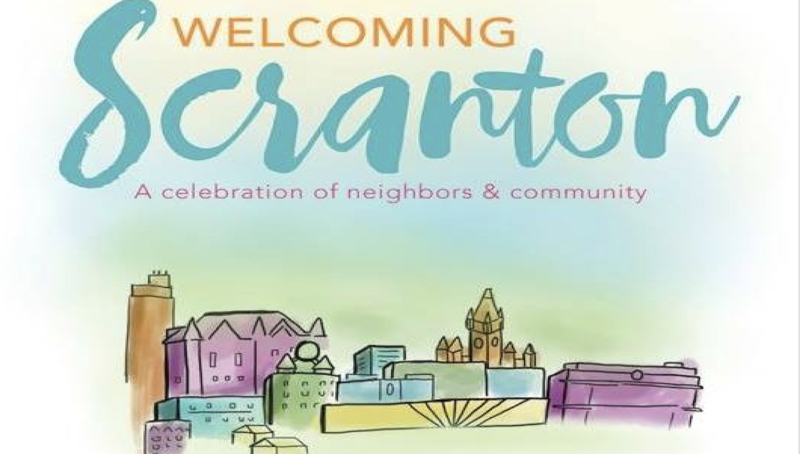 UNC's Community Education & Revitalization Department is hosting its 2nd Annual Welcoming Scranton event at Connor's Park on Saturday, Sept. 15 from 3-6:00 p.m. This event brings together long-term local residents and those new to the country to promote cross-cultural understanding and raise awareness of the benefits of welcoming everyone! The University of Scranton will be represented with a cultural activity table. Free activities include games, interactive art, yoga, dance, children’s story time, and a light lunch! Welcoming America leads a movement of inclusive communities becoming more prosperous by making everyone feel like they belong. Welcoming America believes that all people, including immigrants, are valued contributors who are vital to the success of our communities and shared future. Today, a growing number of places recognize that being welcoming leads to prosperity; Welcoming America provides the roadmap and support they need to become more welcoming toward immigrants and all residents. Find out more here.